Every day from 09.30 to 16.30, Italian tuition with a qualified and experienced teacher, guide, cultural activities, lunch together. A full immersion in a pleasant and friendly atmosphere. Contact us! 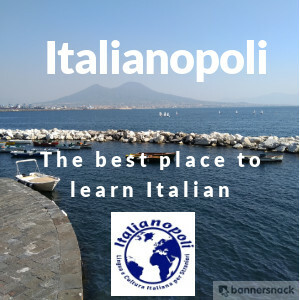 Do you want to learn Italian in Italy while visiting some of the most beautiful Italian cities? 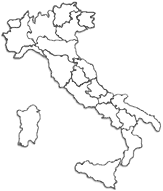 Start off in Rome and then finish your course in Olbia,Tropea or Modena! Have fun while you learn! 20% discount on our December, January and February courses. Go for quality at a special price. The Skype course in Italian offered by OMNILINGUA is for those who want to learn Italian comfortably from their own home with a flexible timetable and personalised lessons to suit every need. The courses are given by professional mother tongue teachers with competence in the English language. To follow the course, simply download the free software 'Skype' on your computer and if possible, get yourself a microphone headset for an overall better experience. This course is based on conversation between student and teacher and it is for those who wish to improve their spoken Italian. If you want to combine Italian language lessons in school with tennis lessons given by a former professional tennis player in Italy, then this course is perfect for you. This programme consists of 4 hours of Italian lesson in a group every day, Monday to Friday from 9:00am to 12:40pm (20 hours per week), plus an 1.5 hours of tennis every afternoon. The experience is held on a nearby farm and includes demonstrations of local production methods and the opportunity to taste specialities. An afternoon with the tutor speaking and tasting Italian. TALKING AND WALKING - EXPLORING THE CITY OF REGGIO EMILIA. The school proposes several itineraries through the city with tutor where students can practice useful shopping expressions and learn new vocabulary, everyday language and natural idiomatic Italian.